← TV in courtrooms? TV in statehouses? 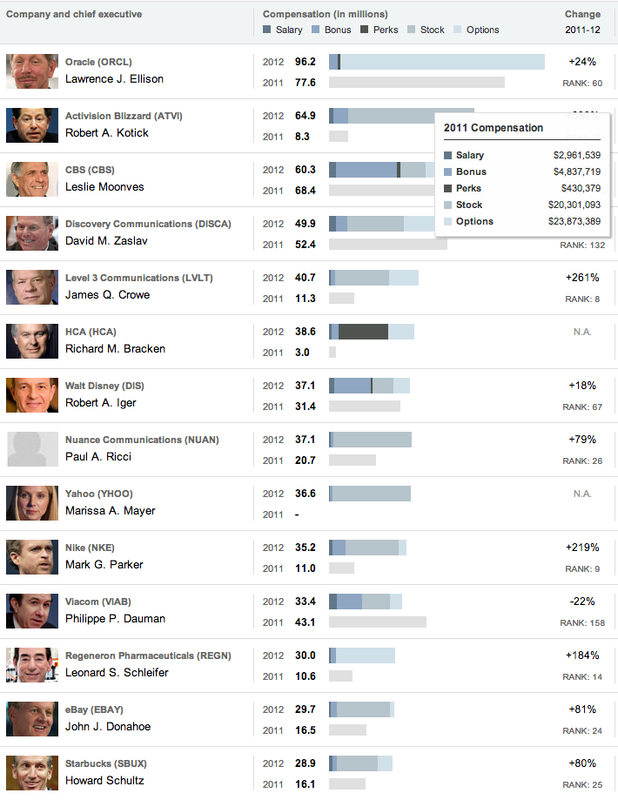 It’s ridiculous to find so many heads of media companies (often with journalistic subsidiaries) on this list of top-paid U.S. executives. If their companies are doing so well, why aren’t they hiring more journalists? you are clearly confusing ‘news’ with ‘entertainment’ and ‘infotainment’. Starbucks sells newspapers, that’s about as close as they get to any kind of journalism, that I can see.